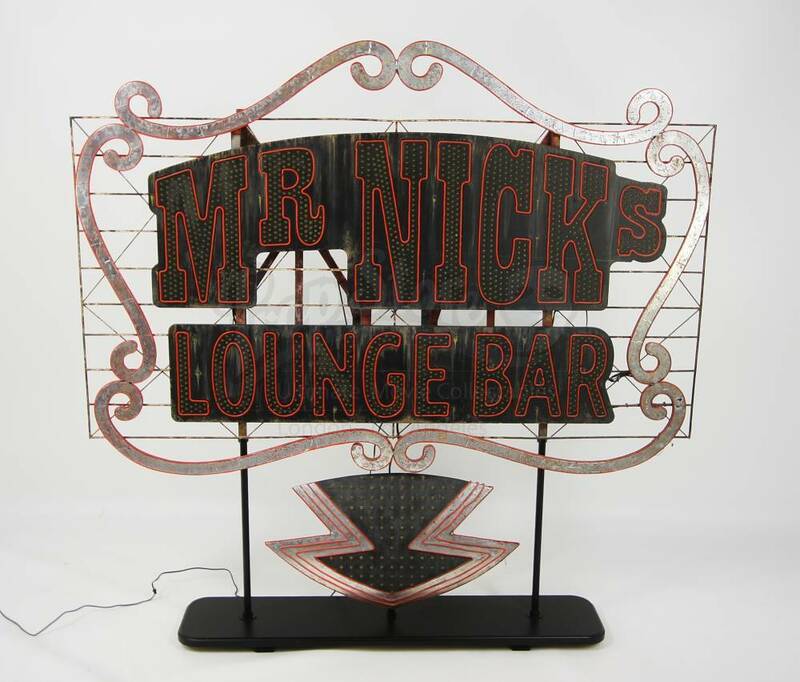 Mr Nick’s Lounge Bar light-up billboard from Terry Gilliam’s 2009 fantasy movie The Imaginarium of Doctor Parnassus. 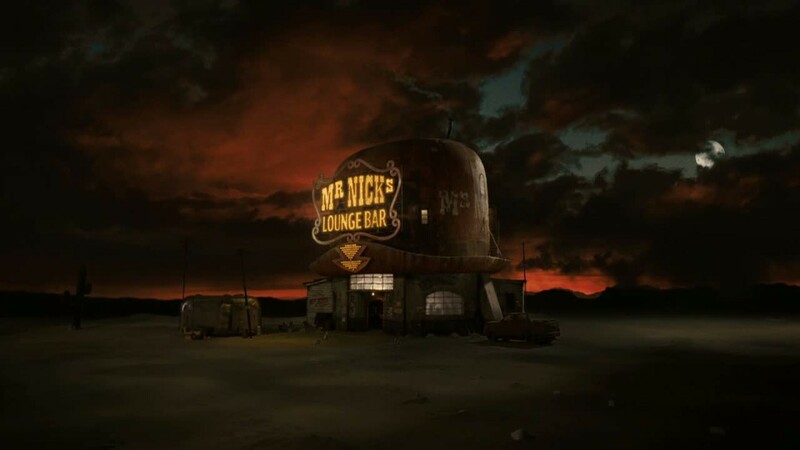 This billboard was used during the first trip into the Imaginarium, when the hooligan is tricked inside the bar, which explodes in spectacular fashion. 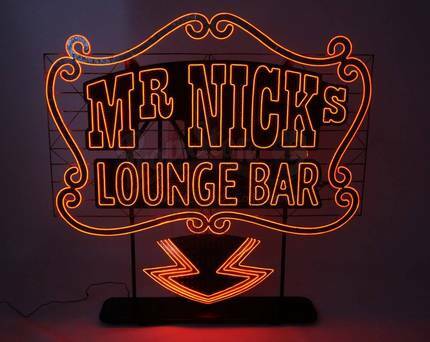 This completely bespoke sign features a black background with hundreds of small bulbs, all wired up together to read ‘Mr Nick’s Lounge Bar’. 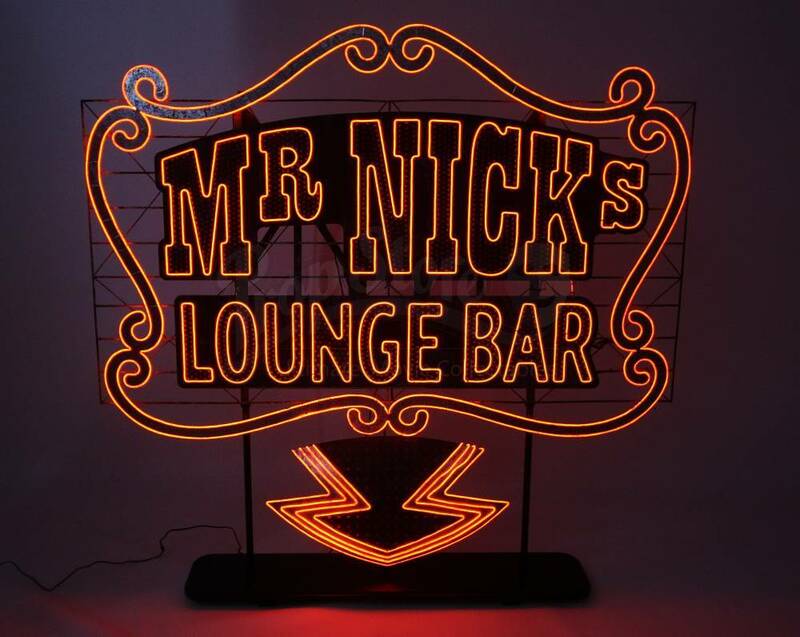 Edging the billboard's silver flowing lines and adding detail are lengths of narrow red electroluminescent tubing, which is like neon tubing but much more robust and suitable for an active film set. 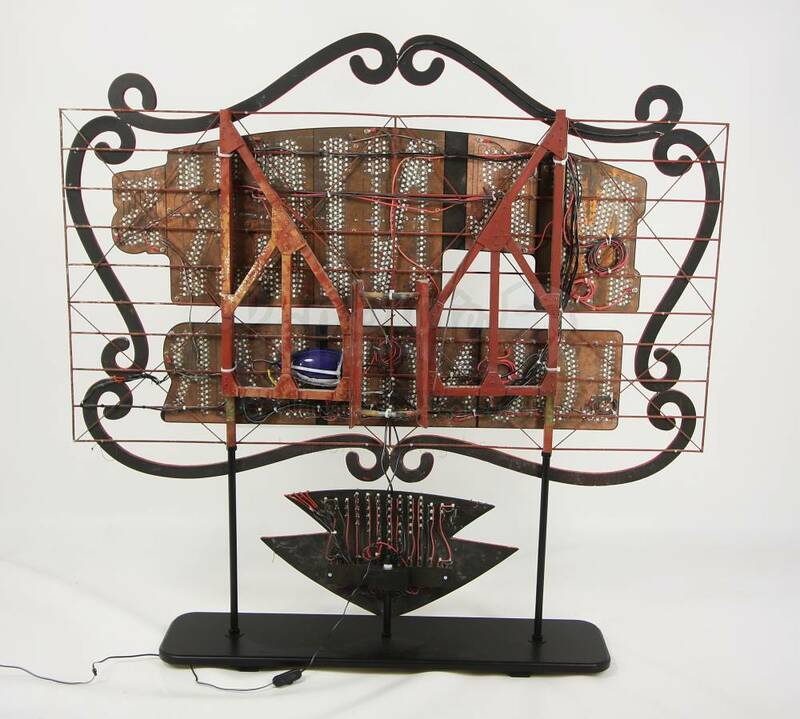 To keep it in decent working order the original red weathered metal frame has been rigged up to a custom-made metal stand which prevents it from resting on the delicate and electrical components. The entire piece has been intentionally distressed to look like it has sat for years in the wild west. 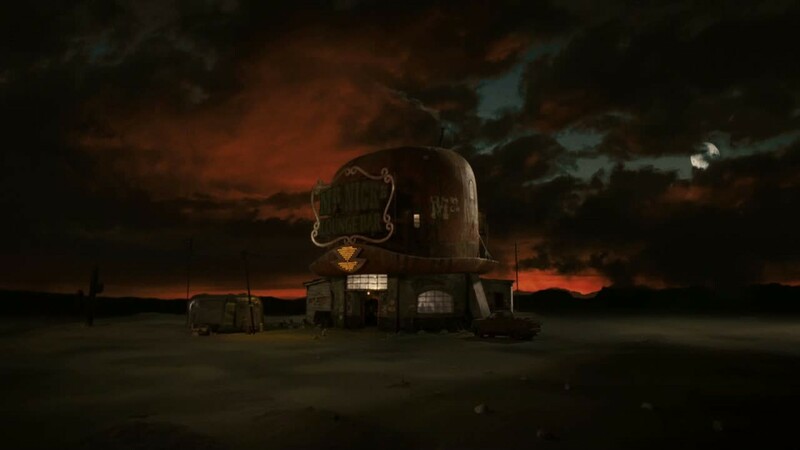 However it remains in an excellent condition. The item is 125 cm x 125 cm x 25 cm (49" x 49" x 10"). Please Note: As this item is oversized and very heavy it will require a specialist shipping service with additional costs. Please contact us prior to purchasing to request a quote.